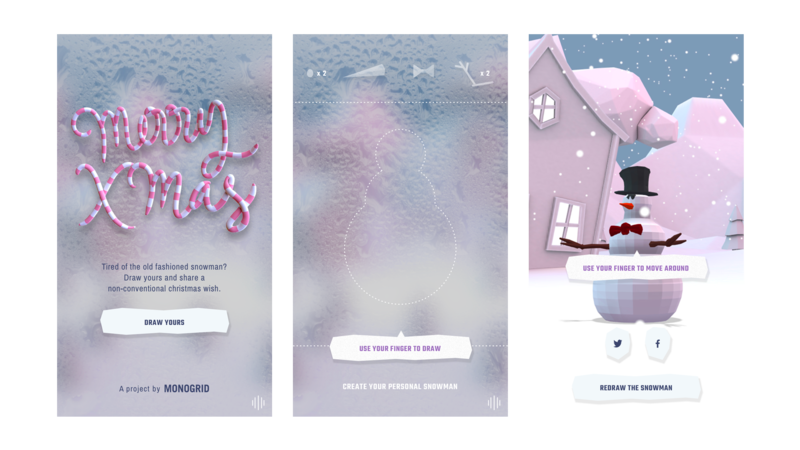 For Christmas 2017, MONOGRID wanted to give everyone a unique experience to share with friends and relatives: a personalized and original snowman immersed in a characteristic and magical world of snow. Magic was the keyword we wanted to incorporate into the experiment and what’s more amazing than seeing your childhood’s creations come true? 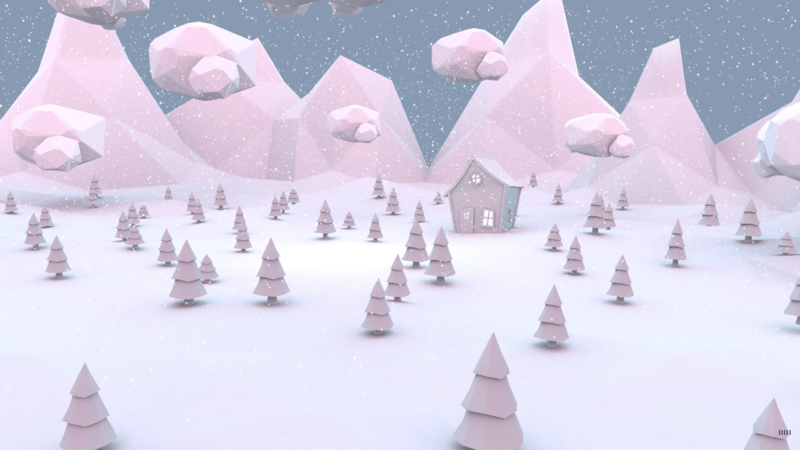 The users finds themselves inside a cozy house watching through a misted window. Muffled Christmas music comes from outside and the crackling of the fireplace sets the mood. The window is the canvas for the user’s creation that will come to life as a 3D snowman just outside the house. We developed a system to translate a 2D drawing into a 3D shape using Dynamic displacement texture generation. The steps to produce the results are as follows: first we let the user draw a closed polygon in 2D space, then we split the polygon across its vertical center and we produce a tiled displacement map based on the distance of the polygon points from the center. We use the displacement map to deform a cylinder geometry and calculate dynamic normal and ambient occlusion maps. After the dynamic texture generation we place the nose, arms, eyes, bowtie and hat on top of that. Using the mouse, or the finger in case of mobile, the user is free to draw the shape of his own snowman and add accessories as stickers. When the drawing is finished, the camera is carried outdoors where you can see your snowman in 3D. At the end of the experience the creation can be shared on social media. Want to see something else?